within the characteristic historical centre , a few steps from the wonderful descent of the medici , near all the services and every comfort , located on the ground floor of a typical building , spacious one bedroom apartment internally comprises entrance hall , living room - kitchen , compartment, double bedroom and bathroom with shower ; was in the phase of completion / implementation of the intended burden at the expense of the promissaria buyer ; free condominium expenses ; thanks to its characteristics, the property lends itself to be conceived as an investment for the realisation of income from rentals, winter / summer , alternatively as a second home for your vacations or as a pied a terre to spend their stays in the city of Portoferraio lively during the entire period annale in case with the important convenience of the ferry without the car. in the immediate vicinity of the centre , near all the services and every comfort , a short distance from the popular seaside resort , located on the third floor of neat building without a lift , large apartment three-roomed apartment internally comprises entrance hall , living room with kitchen , double room , single room , room currently used as a study due to requirements of the current part promisor seller and a bathroom with shower ; terrace with a panoramic view on the centre ; the veranda post to the rear of the house with adjacent small storage room ; heating system through radiators, and air conditioners, generating hot and cold ; monthly charges morigerate and quantizzabili about € 600,00 / year ; excellent condition of the interior ; possibility of parking your car in the car parking below the public ; thanks to its characteristics the property in question lends itself perfectly to be conceived as the first residence to live throughout the annual period. in a strategic and convenient location , in the immediate vicinity of the popular seaside resort , is also close to all services , located on the ground floor of a condominium complex , convenient three-roomed apartment internally comprises entrance hall , living room with kitchen , double bedroom , second bedroom, and a bathroom with shower ; excellent condition of the interior thanks to a complete renovation done from the current part promisor seller ; climate control through radiators, and split / heat pumps, generating hot / cold ; expenses morigerate quantized in about € 20,00 every three months ; on the property in question insists the amount of the loan, the characteristics of which and the details of which for the respect of the personal data of the property , and in virtue of the current legislation on privacy , will be provided in the case of interest , from real estate agency on the part promissaria buyer in a private home ; thanks to its characteristics the property in question lends itself perfectly to be used as a first residence to live throughout the annual period. within the characteristic historical centre , in the immediate vicinity of the picturesque descent to the medici , also in close proximity to basic services, and of the characteristic little harbour , located on the second floor of a characteristic building spacious three bedroom apartment internally comprises entrance hall , living room with separate kitchen , double bedroom , second bedroom , main bathroom with shower and bath , service bathroom, and a space currently used as according to the requirements of the current part promisor seller as a study / work environment , but depending on the needs it is possible to realize a third chamber ; good state of the interior ; expenses morigerate ; thanks to its characteristics the property in question lends itself perfectly to be used as a first residence to live throughout the annual period. PORTOFERRAIO: in area with panoramic sea view, sale spacious and bright studio with living / sleeping area, kitchenette and bathroom. parking space. PORTOFERRAIO : in the upper part of the characteristic historical center , in a position above the high , in a context of privacy and confidentiality , the site on the ground floor of a comfortable building large two bedroom apartment , internally comprising entrance hall , living room with kitchen , double bedroom , second double bedroom , bathroom with shower and a second bathroom with shower ; a small storage room place in the day area, where it has been prepared in a tank of reserve water ; excellent condition of the interior ; heating / cooling using heat pumps hot / cold ; possibility of parking your car in the adjacent public space almost always be free as it is used mainly by the inhabitants of the area ; thanks to its characteristics the property in question lends itself perfectly to be conceived as the first residence to live throughout the annual period , or alternatively as a second home for your vacations, without monthly charges ; beautiful sea view on the gulf and on the descent of the medici hung from the living area. PORTOFERRAIO: Loc. Bagnaia, in an elevated position, on sale comfortable three-room apartment, internally comprises entrance hall, kitchen, living room, bedroom, bathroom, terrace and garden. PORTOFERRAIO : inside a characteristic residential area , a few kilometres from the centre of the village , in a position near the centre , convenient services and all the necessities , plan building work for the construction of four separate buildings , consisting each of eight units , located, respectively, four on the first floor and four on the ground floor , each composed by , entrance , large living room , kitchen , utility room, first bedroom , second bedroom and bathroom with shower ; for each housing unit is provided for the allocation of a garage of exclusive pertinence ; instead, depending on the type chosen , the housing unit taken into consideration can have in addition to a garden or a loggia , or a level roof. Expected amount of expenses, morigerate, regarding the costs of ordinary administration and/or the common areas which will be quantized and duly delivered to the purchasers ; the construction is carried out in the bio building , with all the tricks about the latest news regarding energy saving and energy certification of buildings ; the finest materials available in the specification, with the possibility , if desired , to be reviewed by the customer. 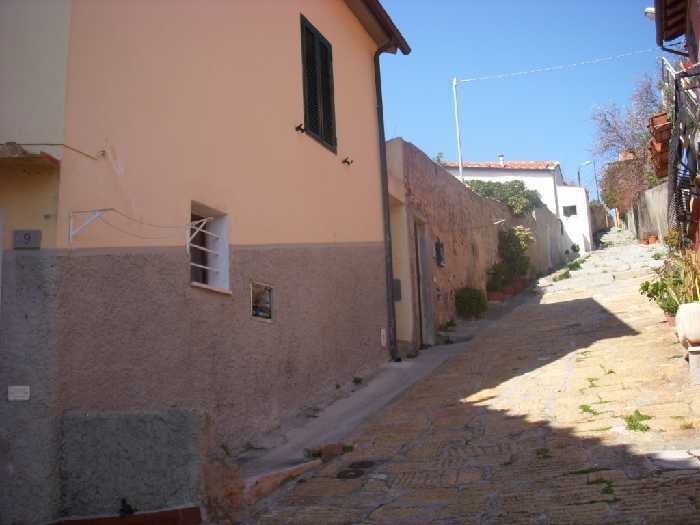 PORTOFERRAIO: sale of 38 sqm apartment in central area close to services, living room with kitchenette, bathroom with shower, bedroom, basement / storage room. Recently renovated, bright, for air conditioning / heating, autoclave, separate entrance. PORTOFERRAIO: in the central area, for sale nice apartment recently renovated apartment, consisting of: living room with kitchenette, double bedroom and bathroom. all' inside of the typical historical centre , located on the second floor of a characteristic building , located in the immediate vicinazne of all the services and the famous descent of the medici , is a large apartment internally comprises entrance hall , living room with fireplace , storage to be used as a sitting area / second living area , separate kitchen , double bedroom , second bedroom and third bedroom currently used as a studio because the requirements of the current part promisor seller and a bathroom with a bath ; the ceilings are decorated by the particular nineteenth-century frescoes help to make unique this property ; thanks to its characteristics the property in question lends itself perfectly to be used as a first residence to live throughout the annual period , alternatively also as a second home for your vacations. in the position near the center , all' inside of a characteristic residential area , located in the immediate vicinity of the centre and all the services , located on the third floor of a characteristic building without elevator large one bedroom apartment internally comprises entrance hall , living room with kitchen , double bedroom and bathroom with shower ; terrace with a panoramic view on the gulf ; excellent condition of the interior thanks to a recent restoration carried out by the current part promisor seller ; expenses, quantized in about € 300,00 / year ; thanks to its characteristics the property in question lends itself perfectly to be conceived as an investment for the realisation of income from summer rentals / winter. PORTOFERRAIO: in the heart of the historical centre of the village, at two steps from the dock, raised ground floor, with independent entrance, newly renovated apartment divided into living room with kitchenette, bedroom with loft and bathroom. The property has been finished with quality materials and with the utmost attention to detail, characterized by ceilings with wooden beams. Good opportunity to be used either as a first house as a holiday home. DESCRIPTION THIS PROPERTY IS PORTOFERRAIO, Apartment on the first floor of stable residential, located in convenient location to all the main services. Internally comprises of: living room, kitchen, two bedrooms, bathroom and utility room which is accessed via a wooden staircase to the attic. Terrace, garden and two parking spaces. In close proximity to the popular seaside resort, also very close to the center, all' inside of a quaint and nice apartment in condominium with elevator, large apartment on the last floor internally comprises entrance hall, lounge with balcony, second lounge / dining room with balcony, a further compartment is currently used as a living area, eat-in kitchen with beautiful sea view, double room, second double bedroom and two bathrooms with shower; large terrace with panoramic views of the gulf. Excellent condition of the interior thanks to a recent restructuring; climate control via heaters and heat pump hot / cold; monthly charges about € 150 / monthly inclusive of centralized heating in hours, good solution to use as a first residence to live throughout the annual period, alternatively as a study professional, even as a small structure. PORTOFERRAIO: in the immediate vicinity of a characteristic residential area , about a kilometer from the town centre and all services , located on the fourth floor and the last building , a large three-roomed apartment internally comprises entrance hall , living room with kitchen , double bedroom , second bedroom, and a bathroom with shower / small bath ; outdoor terrace with panoramic views and small outside space to the exclusive domain located in the courtyard condominium ; excellent state of the interior thanks to a restoration carried out in 2015 ; air-conditioning through heat pump (hot / cold); - heating by a pellet stove placed in the living area ; view of the sea from the kitchen ; possibility of parking your car in the nearby public car parks ; charges morigerate quantized in about € 150,00 / year ; store room / utility room / attic, located on the top floor of the exclusive property ; thanks to its characteristics the property in question lends itself to be conceived in a particular way as the first residence to live throughout the annual period. Portoferraio : a few meters from the beach apartment for sale studio apartment in the residential complex popular and exclusive in the quiet resort' resort of Bagnaia. The property internally is composed by a unique room with kitchenette and two sofa beds, bathroom with shower and terrace overlooking the sea. Condominium parking space. Portoferraio : in a convenient building , in the centre of the country , the third and last floor, apartment for sale three-roomed apartment internally comprises: entrance hall, living room with kitchenette, two bedrooms, bathroom with shower. The cellar of the property in the communal courtyard. Excellent investment to use as a first home and also as a solution to be used for a realization of income from summer rentals. PORTOFERRAIO: in the central area, close to all services, for sale apartment of 58 sqm, internally composed of: living room with balcony, kitchen, double bedroom, bathroom. The apartment has been completely renovated. A short walk from the town center and the port of Portoferraio, on sale apartment of 28 sqm recently renovated, consisting of one room with kitchenette, bathroom and a small outdoor area. PORTOFERRAIO: Centrally located, convenient services with excellent sun exposure, large three-room apartment located on the third and final first building feature, internally comprises entrance hall, living room with mezzanine, kitchen, two bedrooms and bathroom. The attic area with a bedroom, a sauna and a whirlpool. Nice finish of the interior; thanks to its characteristics the object in question is perfectly suited to be used as first residence to live throughout the annual period.